The second battery on our “get to know you” list is the Wet Cell, or Flooded Cell battery. 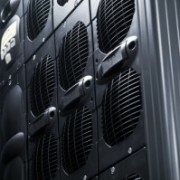 UPS Systems are used in a variety of applications and, as a result, may require a wide variety of run time requirements or discharge characteristics. The battery cell is comprised of a hard plastic enclosure, typically Polycarbonate or Styrene Acrylonitrile (SAN) Plastic, lead plates and an electrolyte that allows the flow of current. A flooded UPS battery does require a higher level of maintenance than its sealed counterpart, and because they contain spillable liquid, must be properly orientated and protected from damage by forceful movement like vibration or excessive shaking. The main advantage of a Wet Cell UPS battery set-up is the long, extended run-time that they provide. They are also typically built to have up to a 20-year design life, though environmental conditions may shorten that lifecycle. UPS Wet Cell batteries can also be heavy and are required to be installed in a controlled environment with proper spill containment, monitoring and exhaust mechanisms in place. Routine maintenance is required on these batteries, along with a schedule for keeping fluids filled, keeping proper venting clear and they may also require hydrogen monitoring and exhaust systems in place. Gaseous Venting- Improper venting can create an explosion hazard from the hydrogen component of this battery. Low Water Hazard- Not keeping the batteries properly filled with the liquid they need can cause plate damage inside the battery and a potential fire hazard. Burn potential- Since the water in these batteries is corrosive, it can cause potential skin lesions, burns, and blindness if a person is exposed to it. Proper clothing and handling procedures MUST BE FOLLOWED with these batteries to keep everyone safe. Here is a sample listing of semi-annual and annual maintenance measures for UPS Wet Cell batteries. Please note this is a sample list and may vary based on individual conditions. Due to the prominent safety considerations with Wet Cell batteries, it is important to have a trusted partner to be able to assist with planning, installation, and maintenance of these batteries. 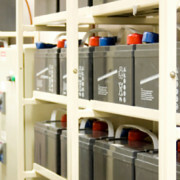 Contact QPS to have a conversation about Wet Cell batteries and if they are the best choice for your environment. Nice.Thank you for the sharing this wonderful information,Thanks for sharing I appreciate that!